Open all year, it has 38 seats. Nestled in a privileged environment already inside has all the comforts, good central heating system, living room with fireplace, television, refrigerator, microwave, etc. Tourists and pilgrims will get peace and comfort in their rest stops. 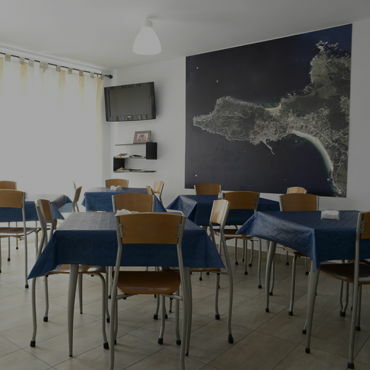 We have modern facilities adapted to the needs of the traveler, making your stay in the hostel as pleasant as possible. It is a place, cozy, quiet and quiet with a family atmosphere. Its name proceeds from the Latin finis terrae, end of the land; and last point also from the Santiago Way. Finisterre geographical singularity captivated since long ago a crow of people who gasped to look out to the end of the world, where the land ends and starts the sea or at last believed the roman legions watching the sink of the sun on those waters. Finisterre singularity arises from the several legends which wrap these lands, where are interlaced religious and maritime topics with stony elements. 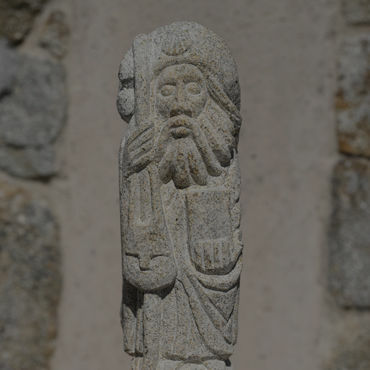 Among them stand out Ara Solis, San Guillermo Hermitage, Orca Vella, Pedras Santas, Santo Cristo of Finisterre and the Dugium City and many others. Thanks to the people from this place memory these legends are still alive, captivating, altogether with the wonderful views which Finisterre has, everyone who come to visit the End of the World. Finisterre town, is formed by an ancient nucleus grew up in amphitheatre shape over the harbour. Its houses and narrow streets have great typist and originality. At the centre you can find Arasolis Square, at the outskirts, in the way to the lighthouse, we find the village most interesting monument: the Santa Maria das Areas Church and within the village historic joint stands out also the San Carlos Castle. Its harbour is the village activity centre place. Nowadays is on works, cause they are building a new fish market. The fleet is made by small coast fishing ships, which use several fishing gears as fishing lines, nasas, betas, etc. Anytime of the day that we stroll by the harbour, we find sailors who are going or coming to fishing, repairing their nets or at the market auctioning the fish. The fishing sector is one of the more traditional at the town. The good quality of the fish and shellfish at this zone make that their products have a great demand at the markets. The herbaceous vegetation hardly survives in a ground whipped by strong winds and hard salinity. In spite of this there progress the humid briars of Erica Tetraliz and E. Ciliaris, dry briars, orchids, retamas (some of them endemic from Galicia), centauries, cliffs plants as Armenia and some pine tree and eucalyptus plantation. The vegetations adapted to the dune complex which adorn Rostro Beach, one of the most wild at the Galician coastal, shows psamofila vegetation, maybe the better conserved in Galicia. 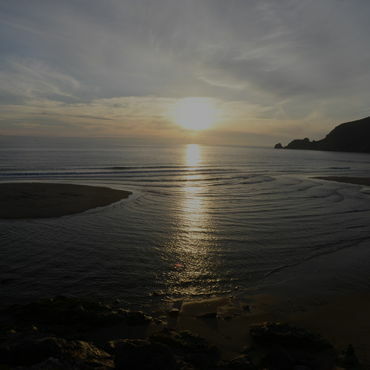 Finisterre is an extraordinary spot for the watching of the migratory passing of several marines birds which besides search shelter and rest in the sands and swampy inlets between the Rostro Beach and Langosteira Beach. The rocky islands as Illas Lobeiras sheltered a great colony of silver seagulls, shady seagulls, yellow leg and tufted cormorant.